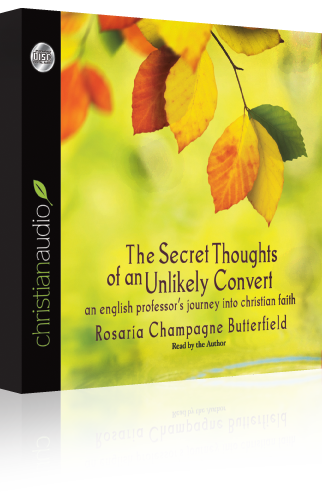 Rosaria Butterfields autobiography is the free audio book download from ChristianAudio for the month of August. In case you don’t know who she is, she was once a lesbian activist in the LGBT movement, and through the study of the Bible she converted to Christ. She is now an active voice in the evangelical world having spoken conferences like the Ligonier National Conference and The Southern Baptist Annual Meeting. Rosaria has a powerful message and gives us sober insight in how we can interact with and help those in the LGBT community come to faith in Jesus.